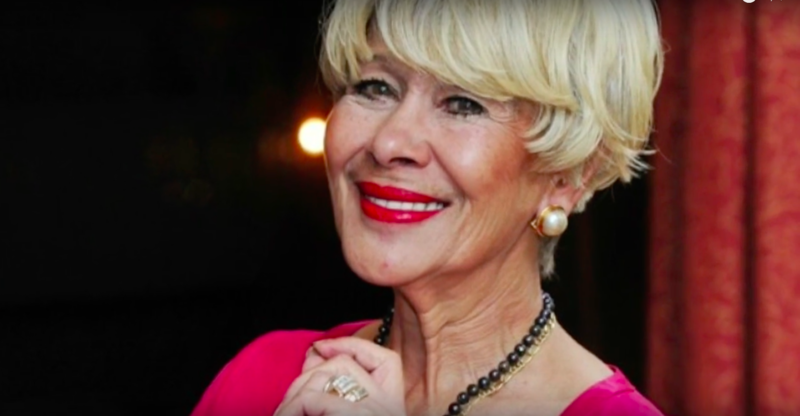 Anneke Grönloh, the Indonesian-born, Dutch “Singer of the Century”, has died at the age of 76. 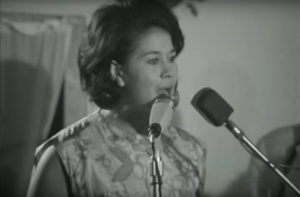 Besides being a Dutch favourite, her music is appreciated thousands of miles away in Indonesia, Singapore and Malaysia, with popular hits like “Bengawan Solo”, “Burung Kakak Tua” and “Asmara” topping local charts in the 1960’s. Grönloh, who was popular during the time of Blue Diamonds, Johnny Lion and the Jumping Jewels, was called the “Singer of the Century” because of the number of sales the release of her first album garnered in 1962. Grönloh’s music has been well-loved in Singapore, Malaysia and Indonesia since the 1960’s, when her first single “Asmara” reached the top of the charts in all three countries. At the same time, she was also Holland’s most successful singer, collecting more No. 1 hits and gold records than anyone else has ever done. Since then, she has been a constant figure and prominent star in the international world of pop music, from Europe to the Far East. Some of her greatest hits over the years include “Buka Pintu”, “Nina Bobo”, “Papa Dja”, “Boeroeng Kaka”, “Bengawan Solo”, “Widuri”, “Mak Inang”, “O Ina Ni Keke”, and “Oh Malaysia”, among many others. Grönloh’s voice was golden, clear and sweet. The lyrics to her songs were beautiful and centered around love and nature. Grönloh was born in 1942 in Tondano, Indonesia. Her early childhood years were difficult and spent in a Japanese-run concentration camp in the Japanese-occupied Dutch East Indies as her father, who was an officer in the Royal Netherlands East Indies Army (KNIL), had been imprisoned before she was born. After the war, she and her family moved to the Netherlands for a better life. 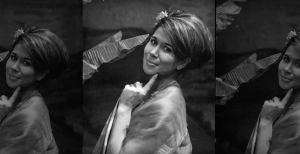 It was in the Netherlands that her talent for singing came about, but her music reflected cultural influences of her early childhood years in Indonesia. In 1959, at the age of 17, Grönloh experienced her first win at Cabaret der onbekenden, a televised talent show. As the winner, she was signed on to a recording contract. This marked the beginning of a singing career that spanned continents and touched thousands in different cultures. Three years later, in 1962, Grönloh went on to release hit after hit, including “Brandend Zand”, which stayed in the charts for over thirty weeks and is the top selling Dutch single of all time, selling over 3.5 million copies. In 1964, she represented the Netherlands at the Eurovision Song Contest. Anneke Grönloh played her last concert and said goodbye to her show business career just last year. She has left behind a legacy of nostalgia and beautiful music that reflects the vibrance of a bygone era.